Defender Loveday Okechukwu opened his account for this season on Monday as Sporting Club de Goa defeated Aizawl 2-0 on game week three in the Indian League. The away team opened scoring as early as the first minute before the Nigerian added an insurance goal on the half-hour mark. Both Nigerians on the payroll of Sporting Club de Goa, Odafe Okolie and Loveday Okechukwu, lasted the distance at Rajiv Gandhi Stadium, while Emmanuel Chigozie watched proceedings from the bench for the homers. Elsewhere, the prolific striker Ranti Martins made it three goals in as many games after finding the net in East Bengal’s 1-1 draw with Mohun Bagan. Martins struck in the 63rd minute and was on the pitch for the entirety of the game . 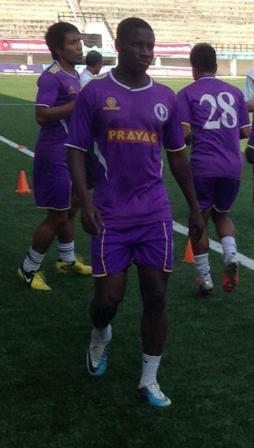 Bello Razaq (East Bengal) and Penn Orji (Shillong Lajong) featured for their respective teams in the latest round .